I’m branching out this year to iBooks, Nook, etc. and having sales all month to celebrate. 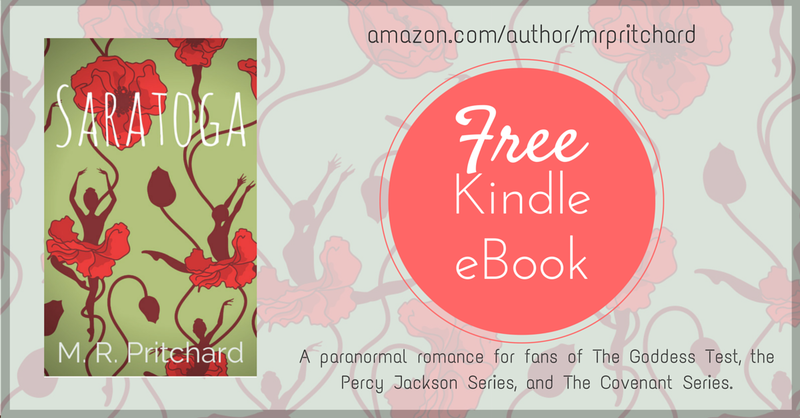 Get your Kindle copy of SARATOGA for $0.00. http://www.amazon.com/dp/B00H2P7W0W. Blurb: Demi knows she is far from normal. She can feel it every time she walks near a park, or a tree, or a flower. She has a gift-or a curse; green things call to her. They tug at her soul and she has no idea how to control it. But Demi has it all figured out. She’s going to be a ballerina just like her mother wants. And since the dance studio is the only place she feels like she fits in, it’s the perfect plan. That is, until she meets Dylan, a boy with a similar gift. Dylan shows Demi the path to discovering who she is and what fate holds for each of them.